Thanks so much for your comment and for following me! I'm now following you via GFC! You girls look beautiful! I love your colorful outfits! you two are seriously just amazing! love those lilac pants! hey girls, u look gorgeous, nice colours! !We already follow each other, I just change my pic and GFC change my visualized name!! !I was paolasophia!! 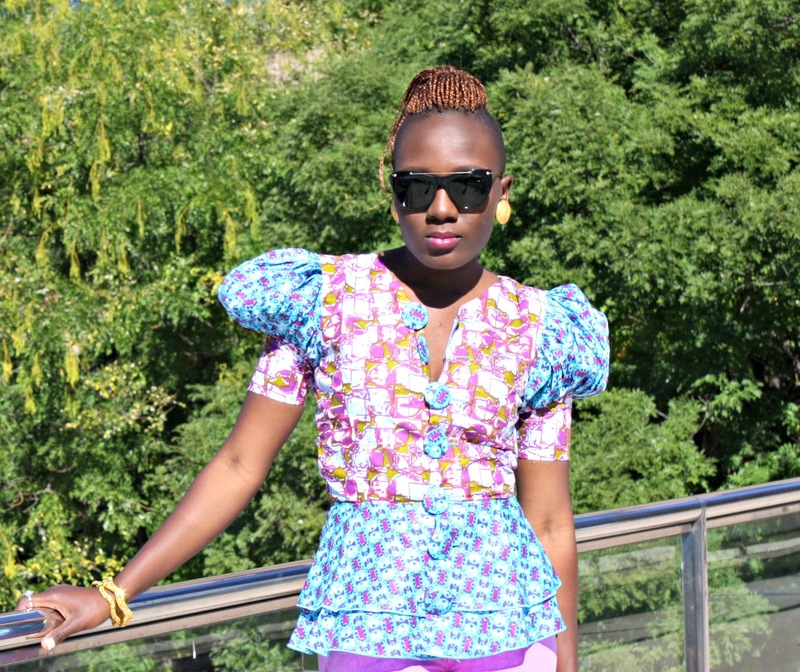 Bold Prints and Peplum! Such a perfection combination and you both rocked it! sooo unique, you both look fabulous!!! your cousin is sooo talented! I love how you guys can pull off this looks! both of you loook great.. i like it..
You girls are rocking this look! Both outfits are amazing ! I wish I could pull that off ! I should ride your closets!! I love love love puffy sleeves!! stunning! This looks amazing!! you both are great! Beautiful ladies! I am seriously coveting your shoes (both pairs)! You are amazing girls. I love your blog! It's so colorful. 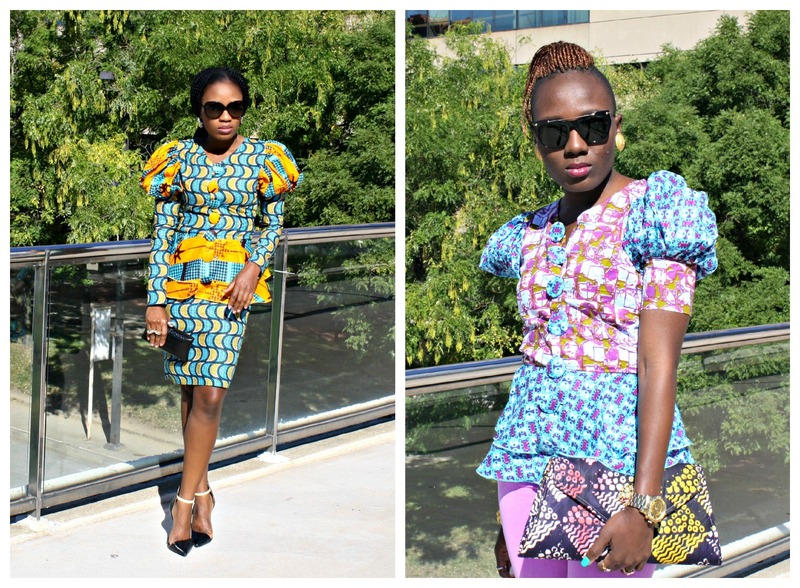 OMG I absolutely love the bold prints and the statement shoulders of these outfits! So fabulous! loving the shoulder detail on this top! I want the yellow and blue top!!! U have to sell it!!!! Is so cool!!! I want it!! 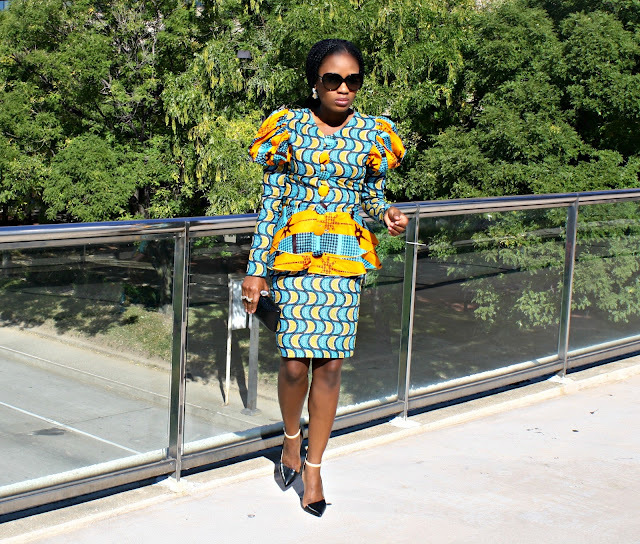 These patterns are really beautiful, so colorful and so bold. Thanks so much for your comment. Sure we can follow each other. Let me know where and I will return the favor. Thanks again and take care. I always like to drop by and see what you two are sporting. Those look like some fancy clothes. Where y'all on your way to? Great prints and I love the colors! thanks for the comment. your tops are amazing! i LOVE the shoulders! 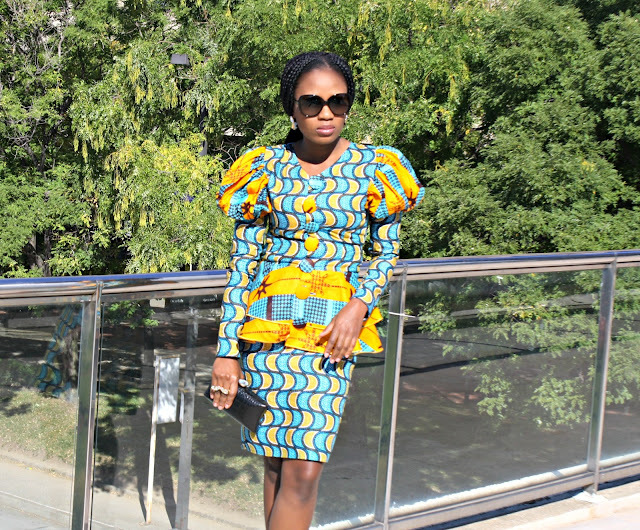 i saw someone with similar shoulders at LFW but these are so much better- and styled perfectly! Wow. Your cousin has talent!!! Wow, you girls look amazing! Thanks for the nice comment on my blog and for following! I'm following back! I can only say "Waouh" ! These puffed shoulders make you both look so stylish! Do keep in touch, my gorgeous. I love your look girls, i think you have the most interesting perspective in fashion, well done!! you're lucky to have a talented cousin! GIRLS YOU ARE SO FREAKING AMAZIING, LOVE YOUR STYLE!!!! thanks for visit my blog!!! You girls look amazing, love the puff sleeves & fuchsia wedges. 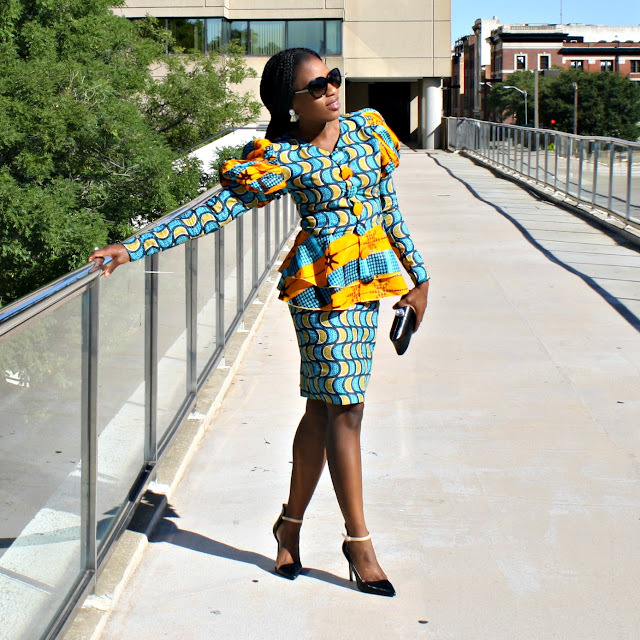 + Join us for our Blog Anniversary Giveaway. Amazing photos!!! You are so fashioned! I followed you! Follow back?? These silhouettes are so dynamic! Thank your for your comment on my blog! I would love to follow each other! I have some african dresses in my closet but I never wear them here in Germany. 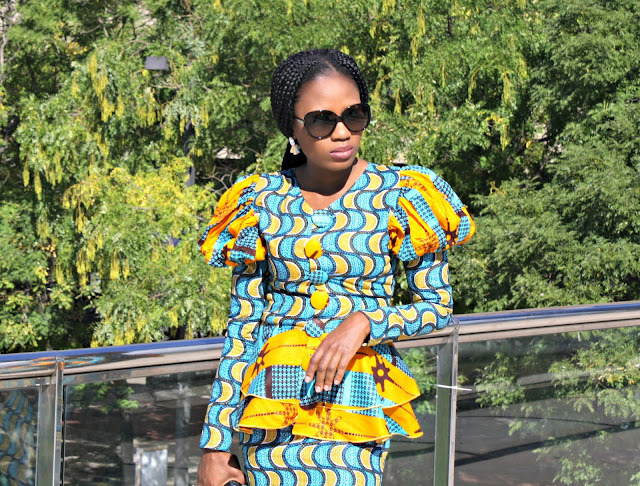 But as soon as I go to Ghana or Tanzania, where I have some friends, I always enjoy to put these beautiful dresse on :) You look great in yours! Oh my the prints are AMAZING!!! 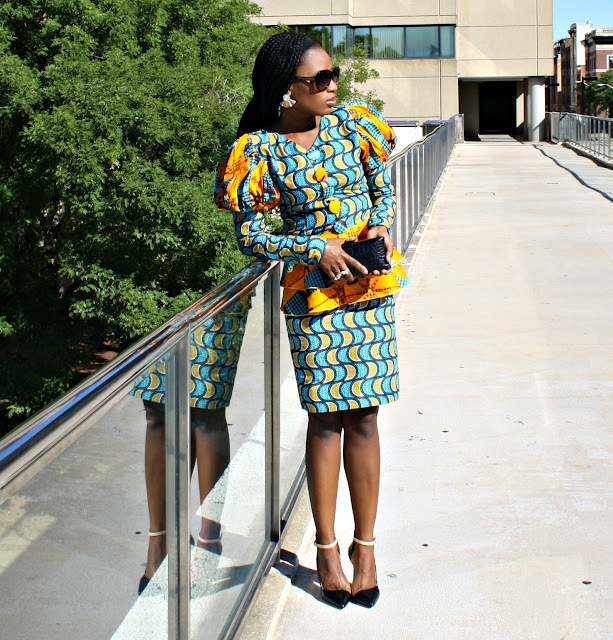 I love this ethnic print. You guys look amazing. The outfits are so cute! The prints and color is amazing! Great outfits. I love the prints and puffy sleeves/shoulders. Your cousin does it again! Such amazing outfits! amazing outfit!!! follow u ! all the looks are so cute !! !